Our summer women’s league at Rosedale will be ending for the season. Monday September 28th will be our last night at Rosedale until next April. We’ve welcomed several new divas at league this season and on our facebook group. Sadly, we’ve also had to say good bye to divas that have moved away. Thanks to all the ladies that came out and the guys that supported us! Special shout out to LaRon “Who Man” Harris for coming out and supporting us with your clinics. Even though summer is coming to an end there is still a lot of disc golf to be had here in Kansas City. Beginning Sunday October 4th, KC Disc Golf Divas move to Swope Park at 1 pm. The fall & winter version of Disc Golf Divas league is also known as “Mimosa League”. We were crowned the Mimosa League a few years ago by our disc golf brothers, KC Beer League. Be sure to say hi to them when you’re out at Swope on Sundays. You can’t miss em – just look for the Mule and a LARGE group of the best people you’ll ever meet on the course. They’ve always been some of our best supporters. 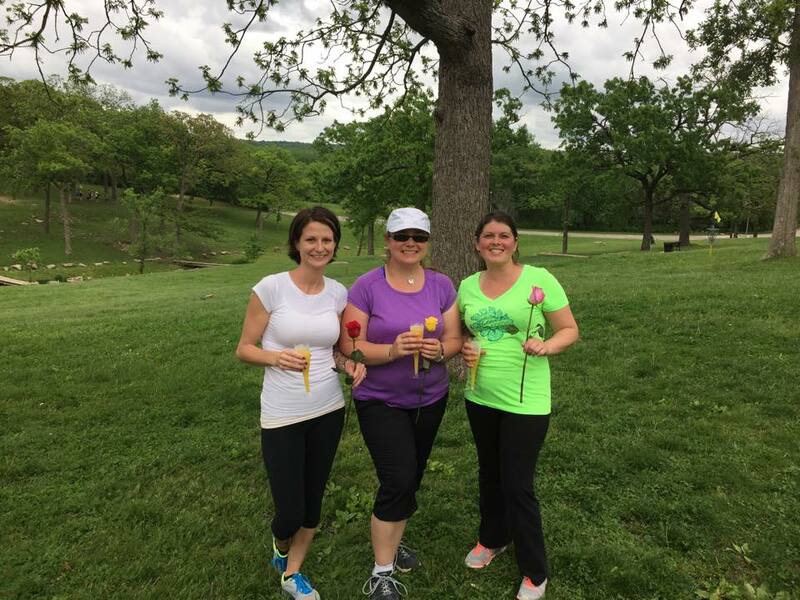 It’s fitting to continue this KC Divas Mimosa tradition with the success of our inaugural KC Diva Feeva women’s only tournament this past May. The Diva Feeva volunteers (primarily men) surprised all players with mimosas and roses after they finished the last round. They didn’t even share their plan with me, the event organizer, so I was as surprised and touched by this show of love as all of you. The first Sunday of every month the KC Disc Golf Diva’s will be hosting First Sundays Disc Golf Social at Swope. More details to follow but this will be co-ed and we’ll also be encouraging families to attend. We hope that it will attract more new players and lifetime disc golf families by helping them get acquainted with our disc golf culture and family. I’ve listed below the disc golf events local to our Kansas City area that are happening this fall and winter. This is my favorite time of year for disc golf! I’ve been on the injured list since July and looking forward to being able to play in some of these events. I hope you’ll join me. Saturday Sept 26: 8th Annual Ozanam Open Charity Disc Golf Tournament @ Thornfield. More info. Saturday October 3rd: KC Divas Party. Time and location to be posted. Saturday October 10: 3rd Annual Kansas City Juniors Open Charity Disc Golf Tournament @ Foxhill. More info. Feel free to share what events you plan to attend in the comments below!